Analysis of Everytown for Gun Safety’s 2018 endorsements by Guns & America shows that 81 percent — or 46 — of the 57 candidates for U.S. House endorsed by Everytown this year won their respective races. Just eight of the candidates Everytown endorsed in 2018 lost Tuesday. In three cases — the Texas 23rd, New Jersey 3rd and California 45th — the races have yet to be called. Congresswoman-elect Lucy McBath, seen here in a campaign photo released in April. 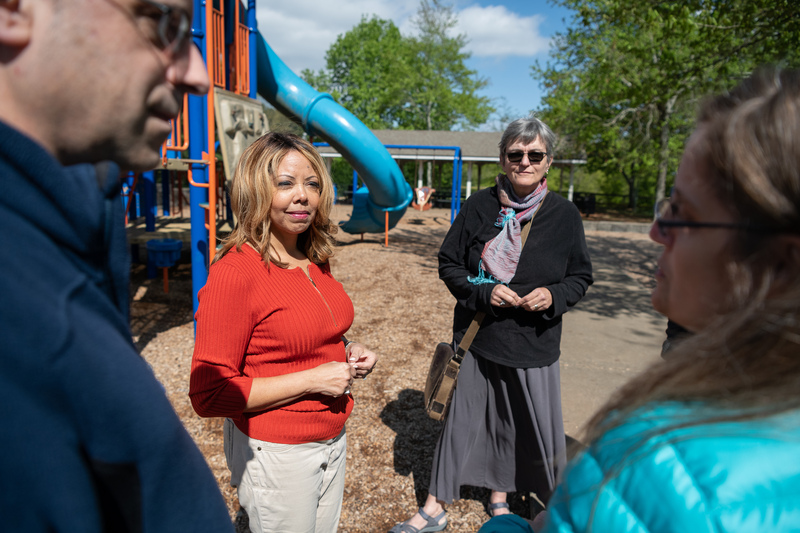 After a tight race that lasted past election night and into Thursday, suburban Atlanta’s 6th Congressional District now has a new Democratic congresswoman, Lucy McBath. Her top issue? Gun safety. According to The Trace, Giffords and Everytown spent over $4 million to help elect McBath who ran on a platform of gun safety measures including universal background checks and “red flag” laws. 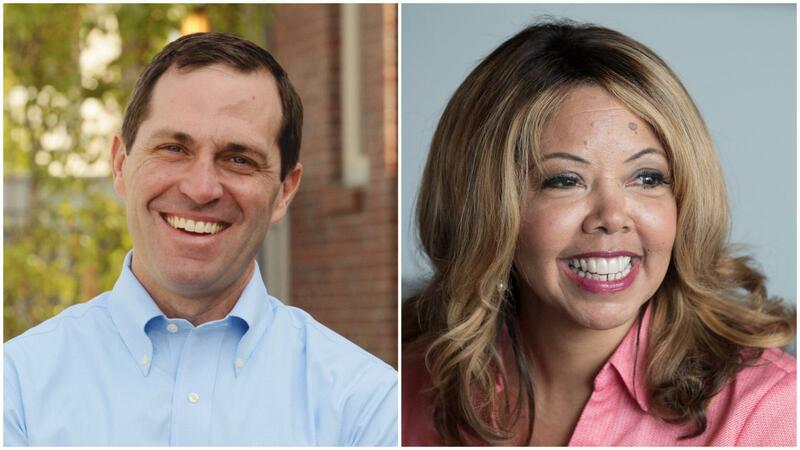 Gun control activists and gun violence survivors knocked on doors and called voters for McBath. The death of her 17-year-old son Jordan Davis gained national attention when he was shot at a gas station over a disagreement about loud music with the shooter, Michael Dunn. Dunn was eventually convicted of first-degree murder in 2014 and sentenced to life in prison. 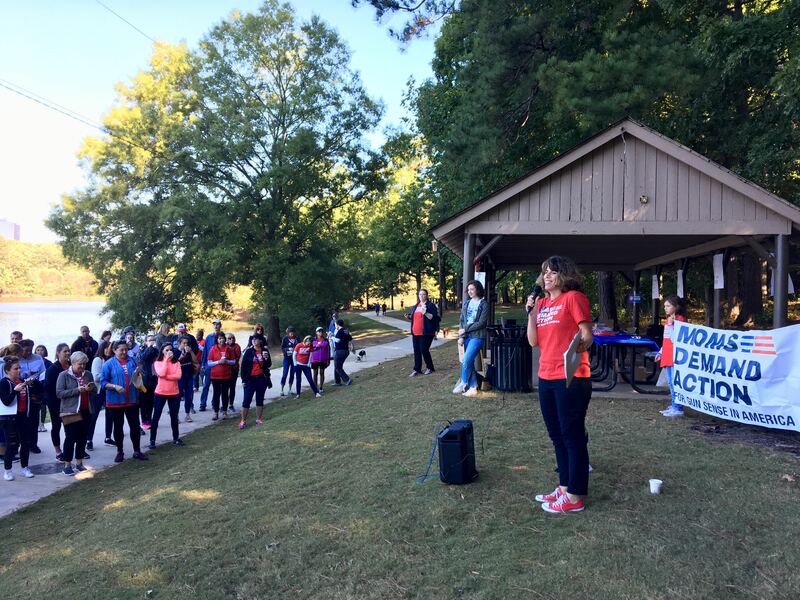 Beth Freeman with Moms Demand Action at a campaign event for Lucy McBath. After Parkland, gun safety advocates rallied around McBath. In the end, Swint says he thinks gubernatorial candidate Stacey Abrams gave her a huge push in turnout. 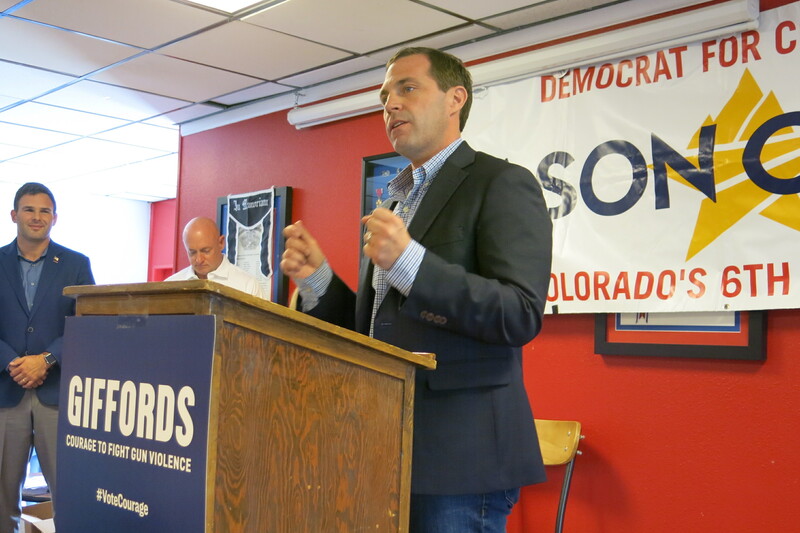 Jason Crow, center, addresses supporters at a campaign rally in Aurora, CO. 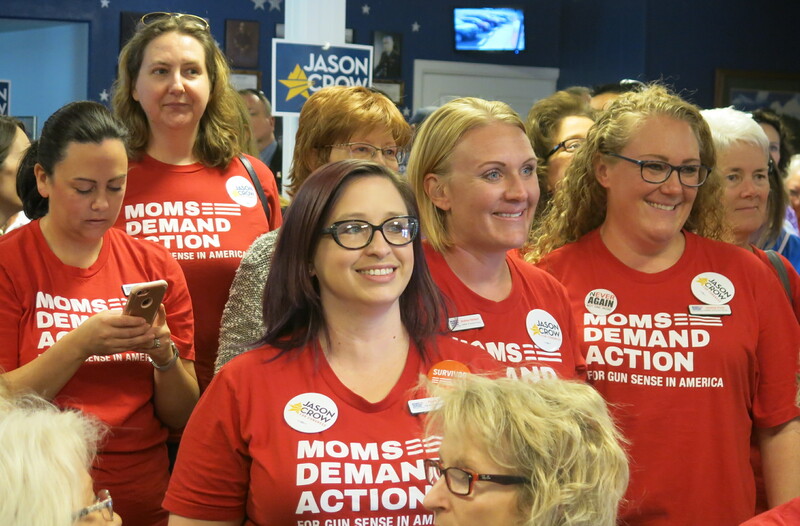 Volunteers with the gun control group, Moms Demand Action, wait for candidate Jason Crow to speak at a campaign rally. Early results from an NBC News exit poll indicate that 60 percent of voters polled support stricter gun control policies. At the same time, gun control is not a top issue for most voters. Just one in ten respondents named it as the most important issue facing the country. While the majority of voters may not have gone to the polls on gun issues alone, districts did vote to send dozens of pro-gun control candidates to Washington, each of whom will have the ability to support legislation regulating firearms. Update 11/12/2018 12:31 p.m. story was updated to include the results of the California 48th among races won by Evertown for Gun Safety-endorsed candidates.